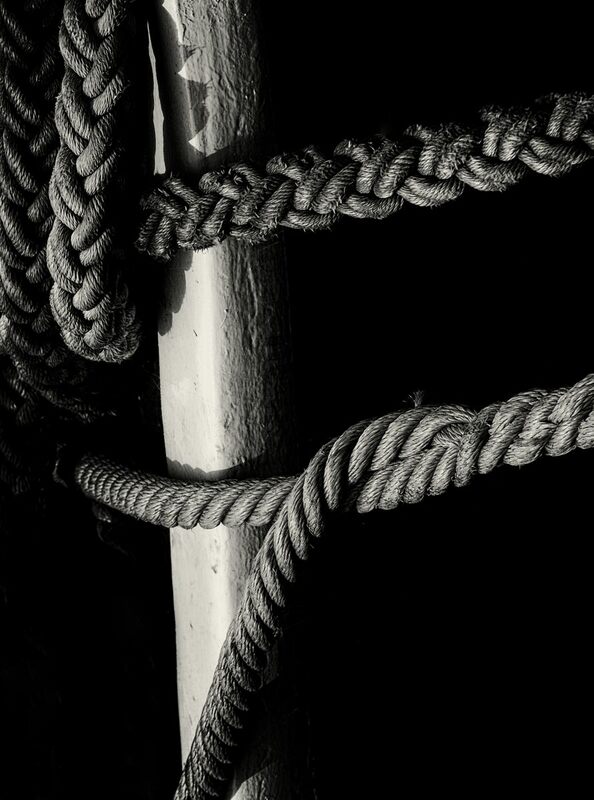 Mooring ropes against a ship’s rail. Click onto the image to open it in another window, and click onto that image to enlarge it. Technique: X-T1 with 55-200 Fujinon lens at 305mm (equiv); 200 ISO; Lightroom; Silver Efex Pro 2, starting at the Film Noir 3 preset, and adding a light coffee tone; Capture NX2, for rotation and cropping; Bristol harbourside; 14 Jul 2016. I’m hopelessly behind….but wanted to say I love this – it’s a good example of your love of chiaroscuro, too. Perfect symbolism, for the present…: are we moored securely or about to drift aimlessly. Haha! well I’m not sure about securely, but I can’t agree with aimlessly. But I do wish our politicians would get themselves together, and I do have some sympathy for Boris Johnson’s mention of “needless doubts”.